Syros is one of the Greek Cyclades islands in the Aegean Sea. 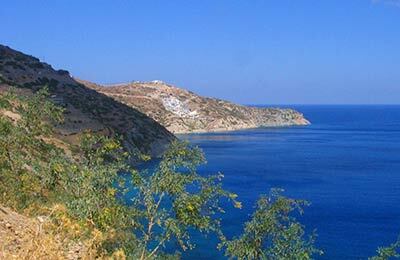 Syros has much to offer the visitor, from sandy beaches to stunning architecture. Syros is one of the lesser-known Cyclades islands, and offers visitors an experience of typical Cycladic culture and tradition. Ferries from Syros sail with the operators Blue Star Ferries and Aegean Speed Lines. 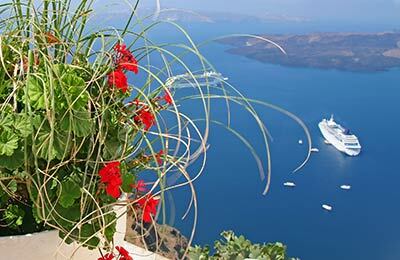 Blue Star Ferries have ferry services from Syros to Kos, Leros, Mykonos, Patmos, Piraeus, Rhodes, Tinos, Katapola (Amorgos), Iraklia, Koufonissi, Naxos, Paros and Schinoussa. Aegean Speed Lines offer regular fast ferries to Piraeus, Mykonos and Tinos from Syros. With the easy to use booking form from AFerry, you can easily find the right ferry for you. Below you can find Syros ferry times, as well as our best deals. Blue Star Ferries and Aegean Speed Lines offer great deals and promotions on Syros ferries, and you can take advantage of these by booking simply and securely with AFerry. Syros ferry port is situated in the town of Ermoupolis, which is the main town on the island of Syros.